Skin is the main valuable thing to us.Even a pimple on our skin completely makes us down and skin therapies makes us so panic.There are so many skin care products which suits your skin with good and better ingredients but some of them are so costly.So let us try for the better skin care products which helps us from skin damaging. There are million products in the market which are very tough to try all the products available. We couldn’t risk our skin by using a new product daily.we can’t spend all the money on skin care products.Here are the 5 skin care products that are low cost and for the healthy skin…that go into them but most of them are extremely expensive. So I decided to hunt for all the best skin care products which help us fight our skin problems and don’t cost a bomb. The most main concern for skin is suitable moisturizer .It is very essential to stay our skin moisturized all the time.Skin starts bringing blisters when dehydrated and also becomes harsh. 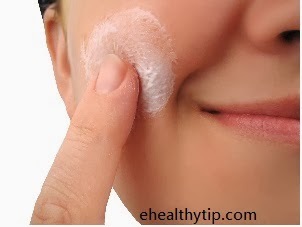 Use sunscreen lotion to the skin whenever you are going out,it stops the UV rays from getting in to the skin.Exposing to the UV rays for a long time produce skin cancer. Face wash is also important to our skin as it purifies the skin by removing the dead cells.And there are so many facewashes by frangrances and flavours with various ingredients.It removes the dirt which is on the skin ,which helps your skin from pimples and pollution.And also face washes are also avaible in the market for various kinds of skin and select the right one for your skin. It is very helpful when we want to remove make up.Take some cleaning milk on a cotton or tissue paper and remove the make up from your skin.It is also used to remove the dust particles which is collected in the skin pores and makes so tough for the skin to breathe. It is the better result to get back our pH balance on the skin and also helps to stiffen the pores and should be used after the cleansing process. There are many scrubs and the facials that are used often.And these main 5 skin care products helps us to have a heathy skin and at a low budget which are definitely available in the market..